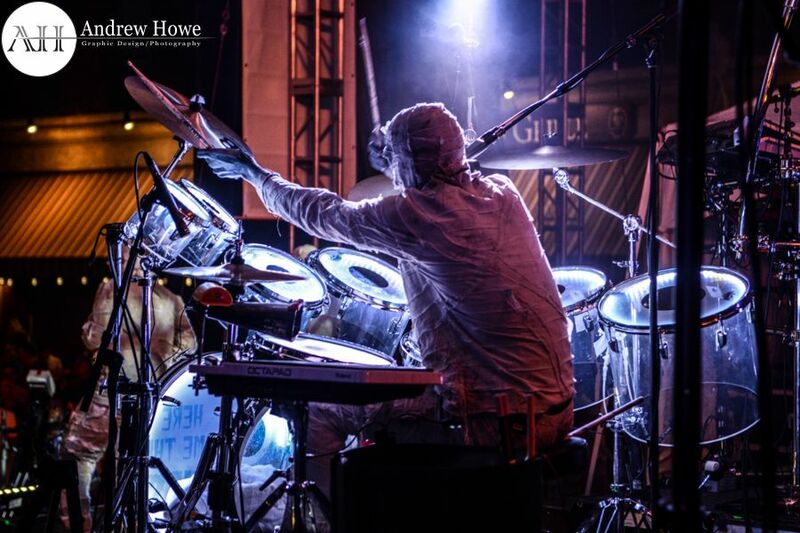 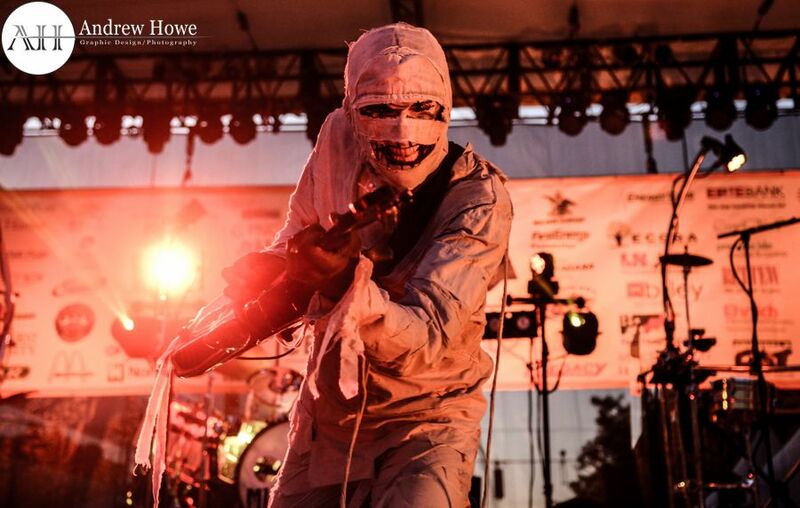 Celebrate Erie, the art and music festival along the shores of the Great Lakes, kicked off with help from Nashville’s funk rock troupe, Here Come The Mummies. 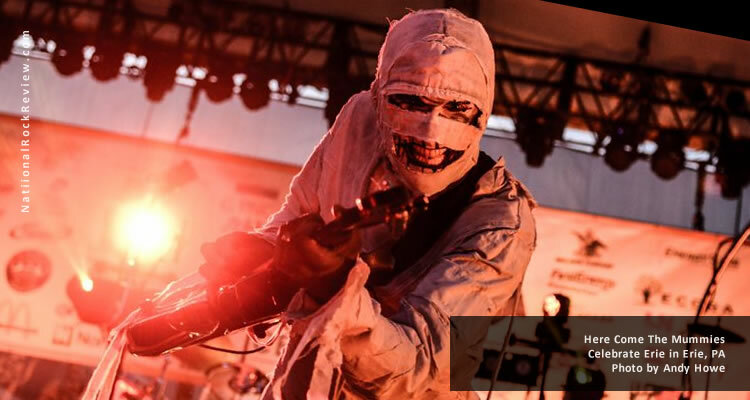 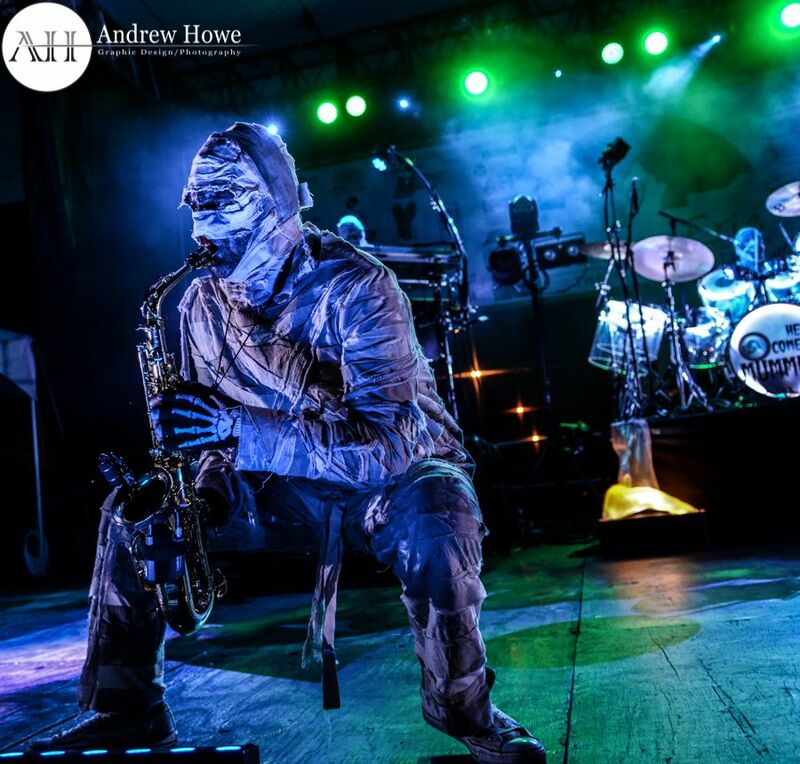 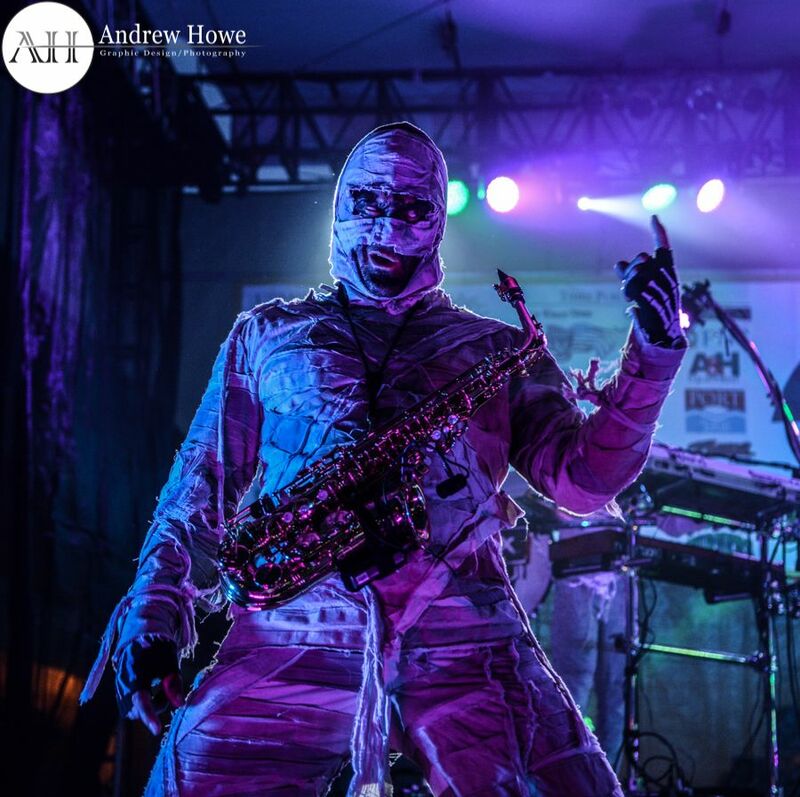 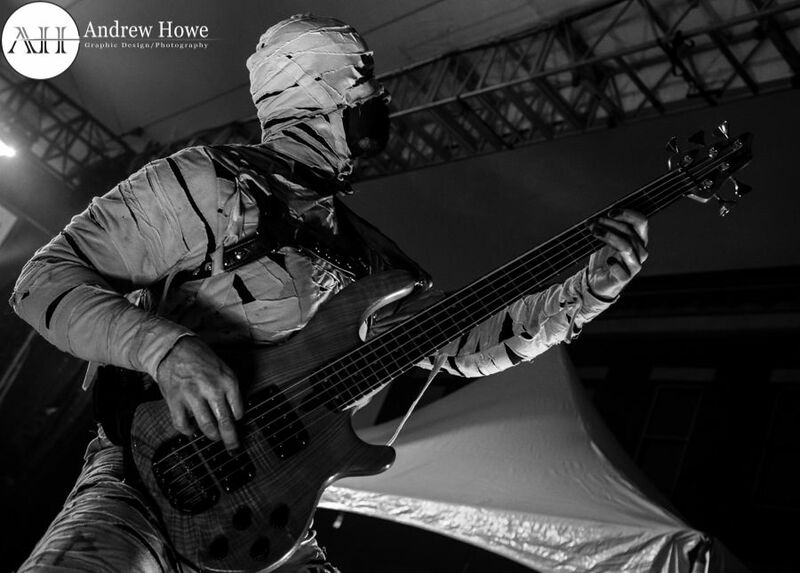 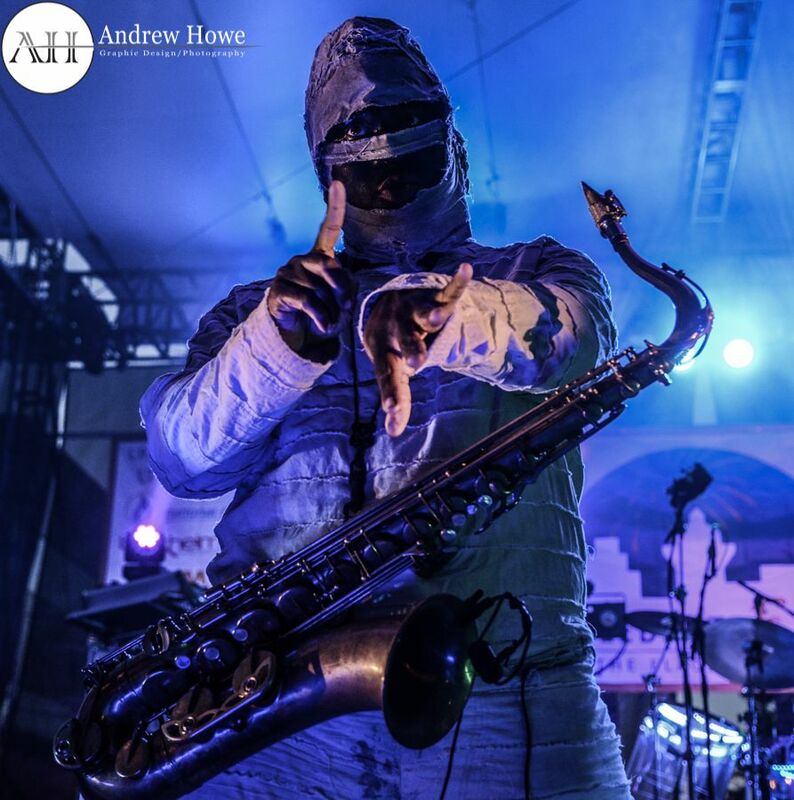 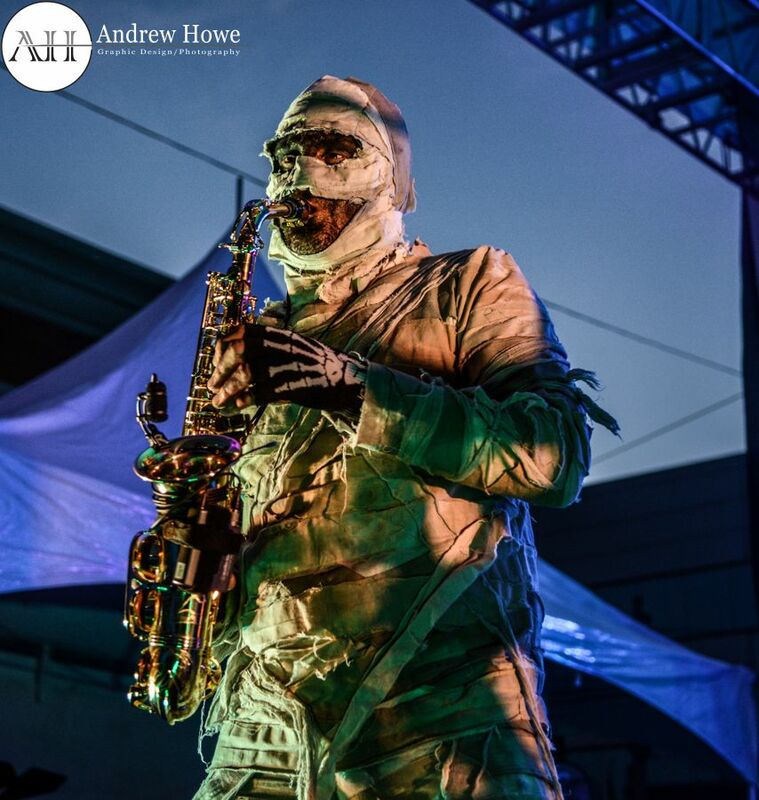 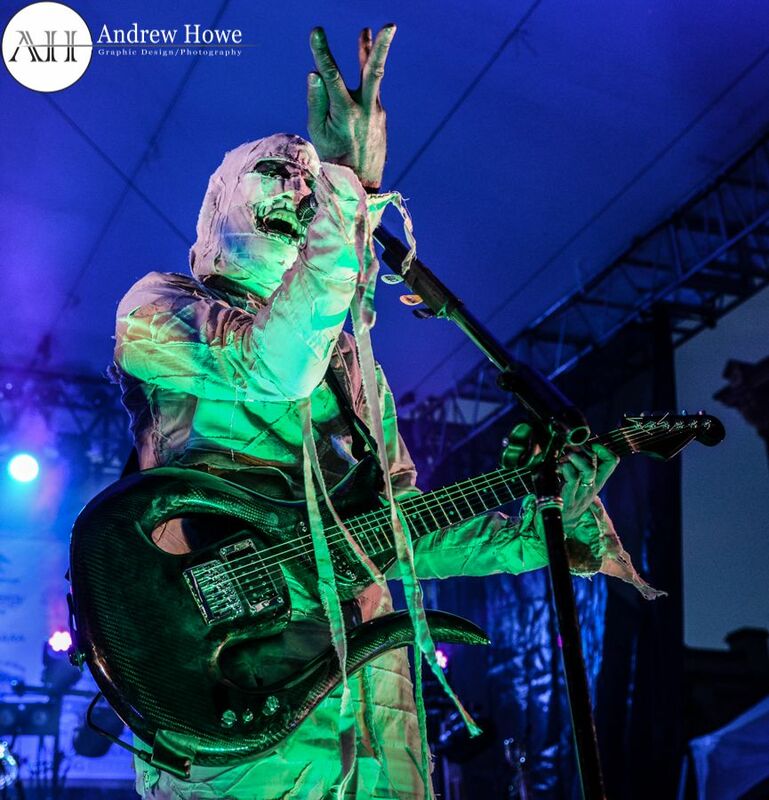 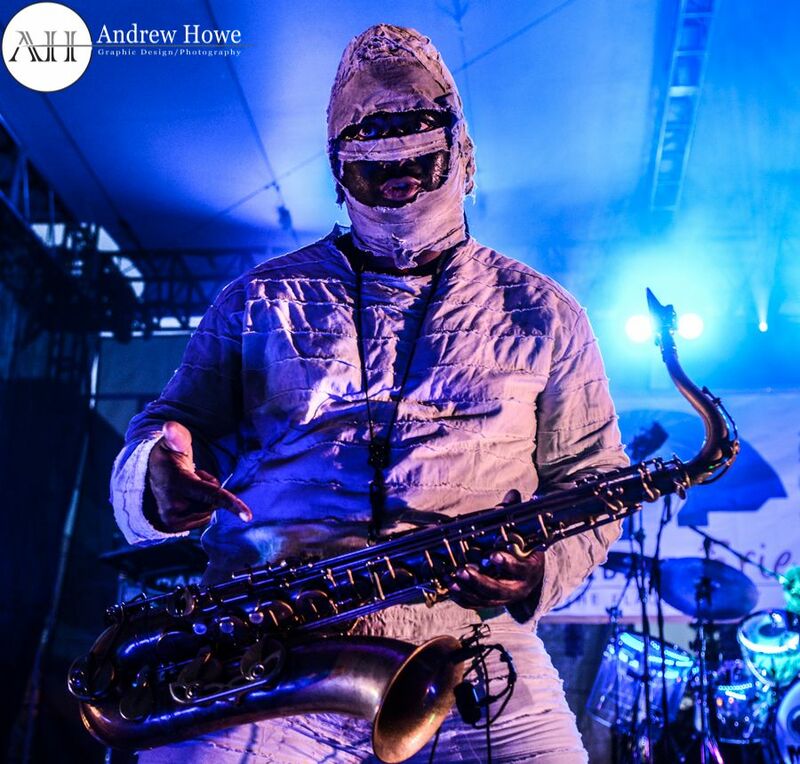 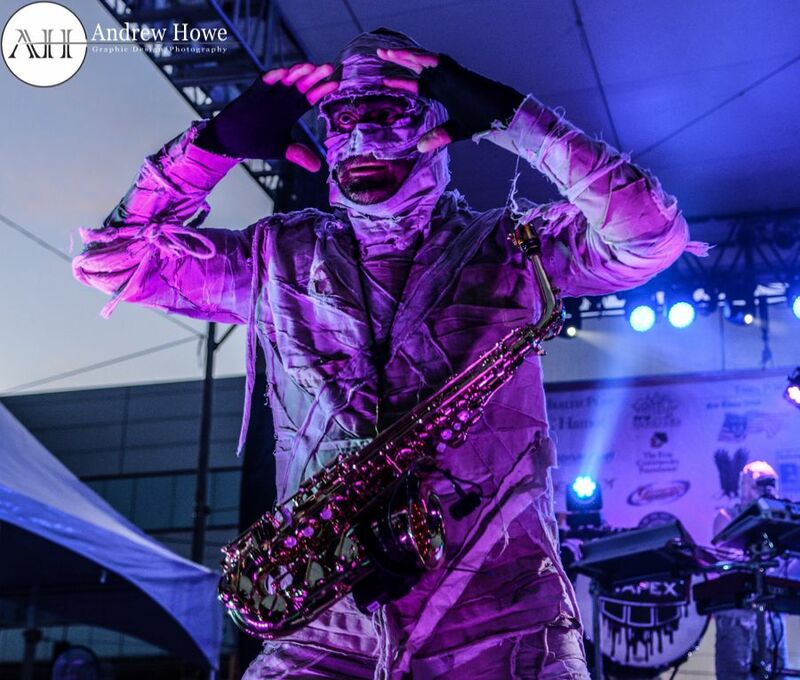 When Here Come The Mummies came to Erie, Pensylvania in 2014, they ended up being the talk of the town for days or weeks to follow. 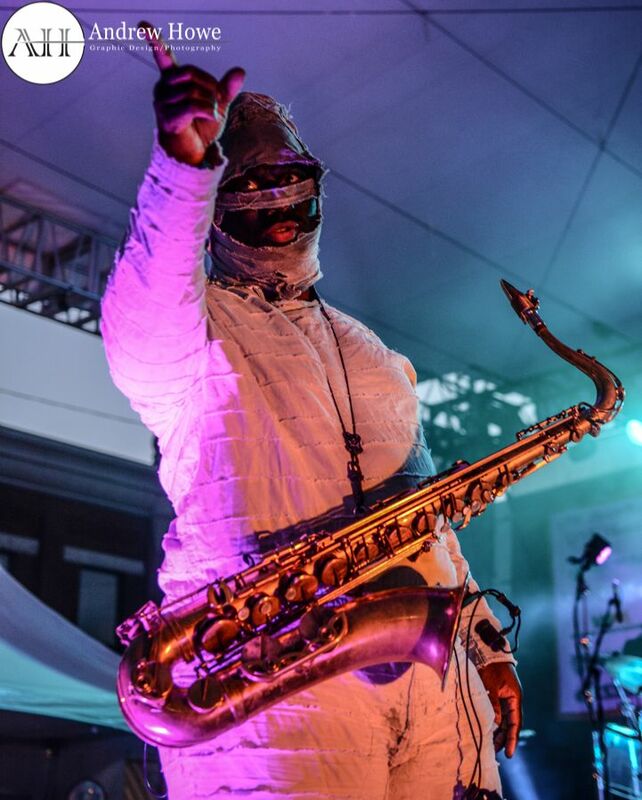 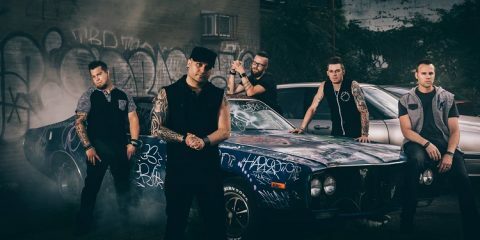 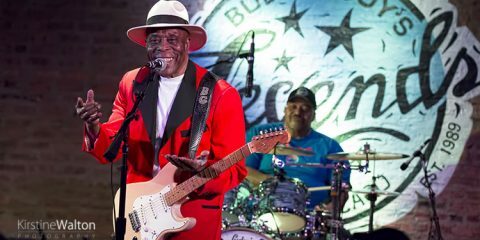 The funk rock band played a free show as a part of the summer concert series, 8 Great Tuesdays, to a huge audience. 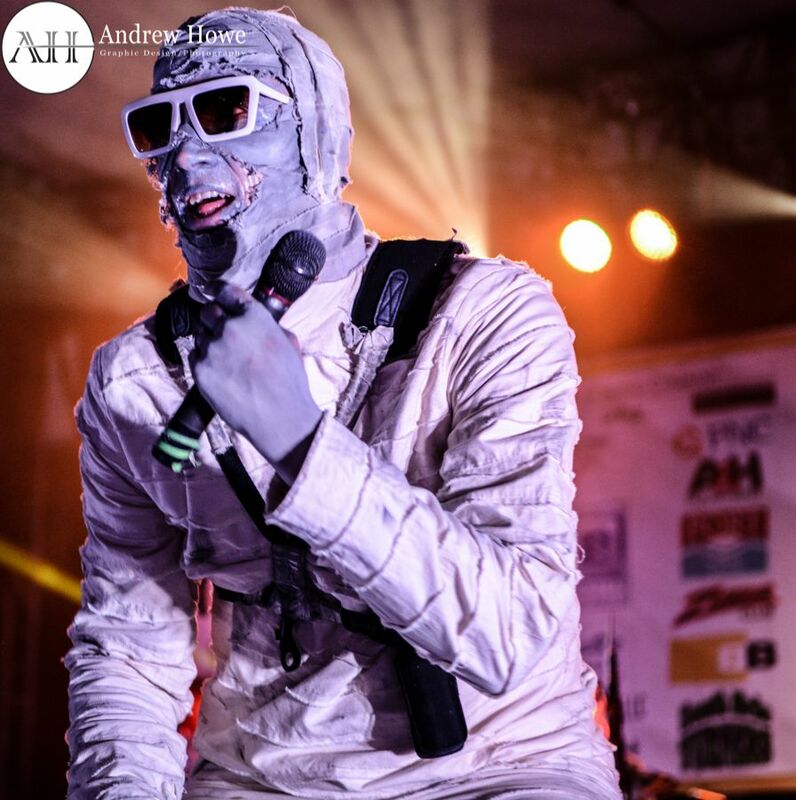 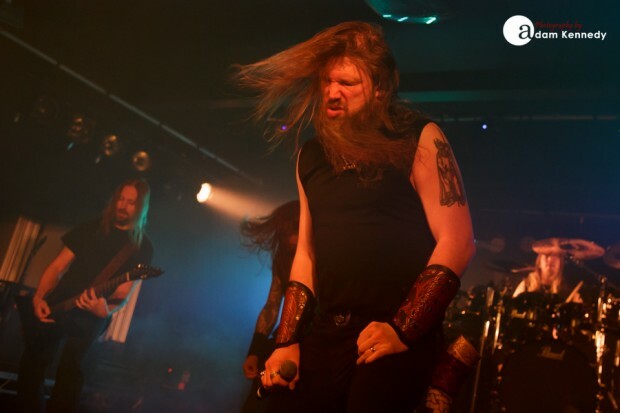 They returned to the same event this year and to another large crowd. 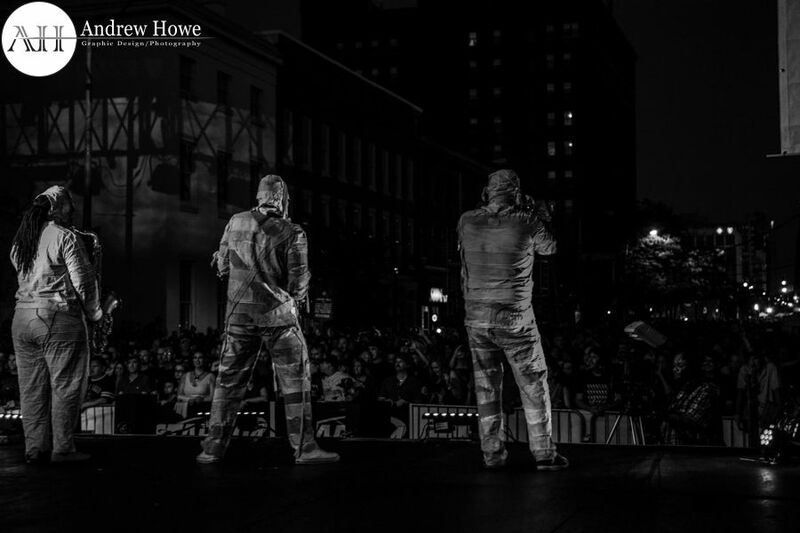 For those who have not heard of Celebrate Erie, it gives free access to local art museums and galleries and features street vendors, demonstrations from local artists, and entertainment including numerous music performances. 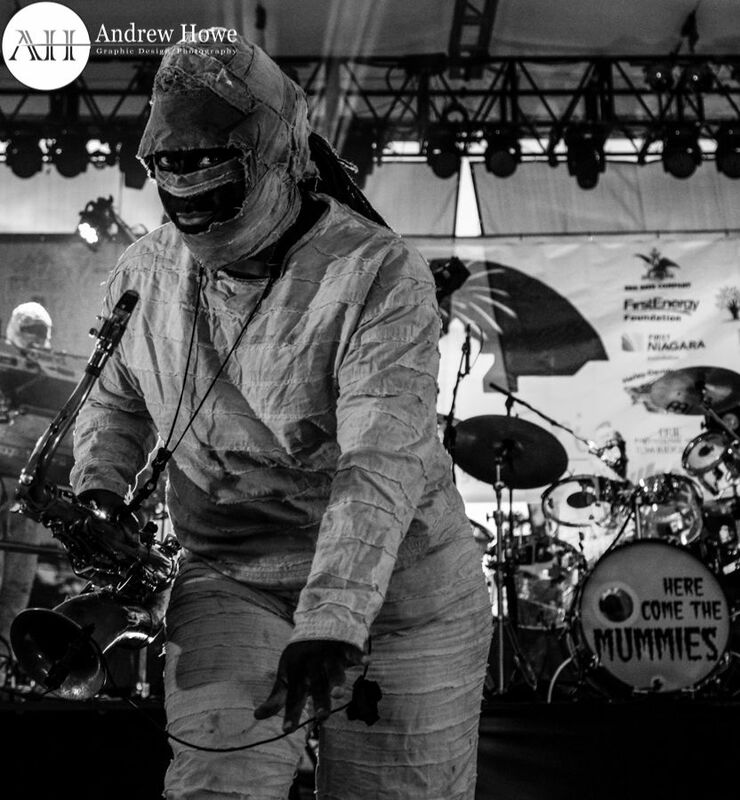 Here Come The Mummies were the first band of the four-day long celebration to kick off the main stage as the headliner. 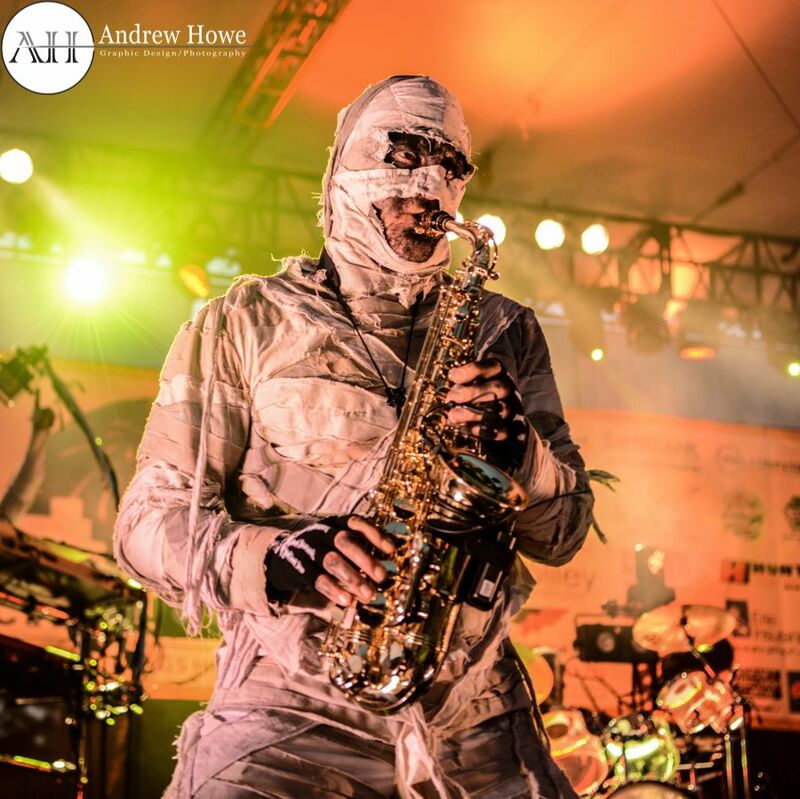 The guys made their way to stage through the crowd, in usual Mummy fashion, giving their audience a great interaction with the band. 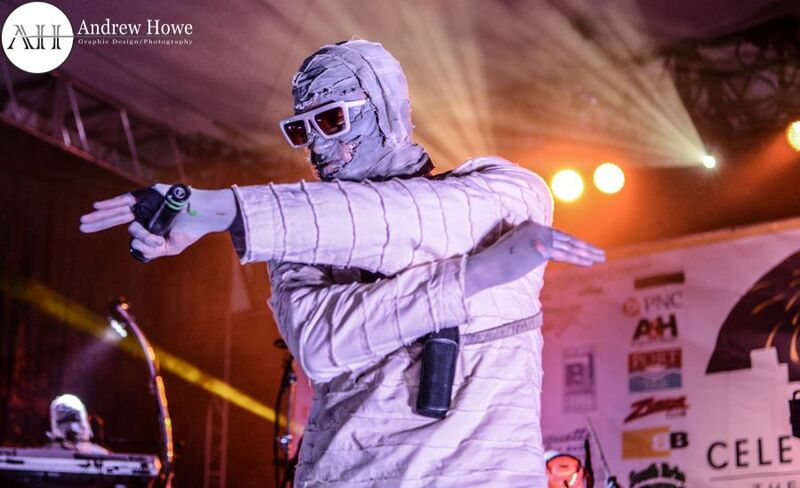 Given the number of fans dressed as Mummies, it was at times hard to tell the band from their faithful followers. 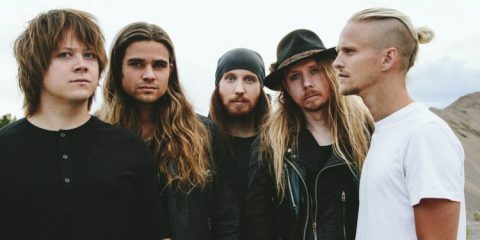 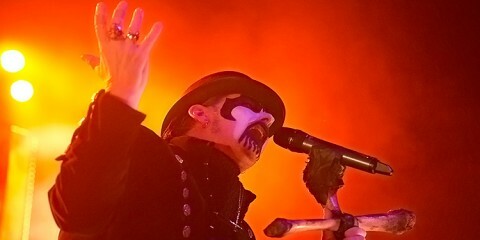 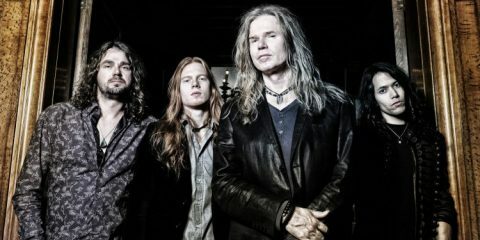 The band played songs such as “My Party,” “Booty,” and a fan favorite “Freak” where fans began waving flags with the “freak” printed on them. 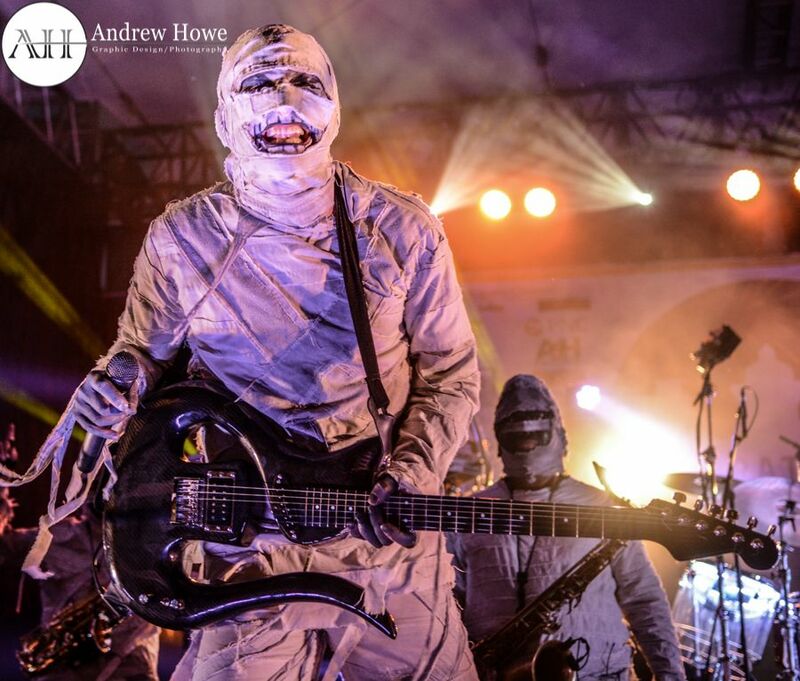 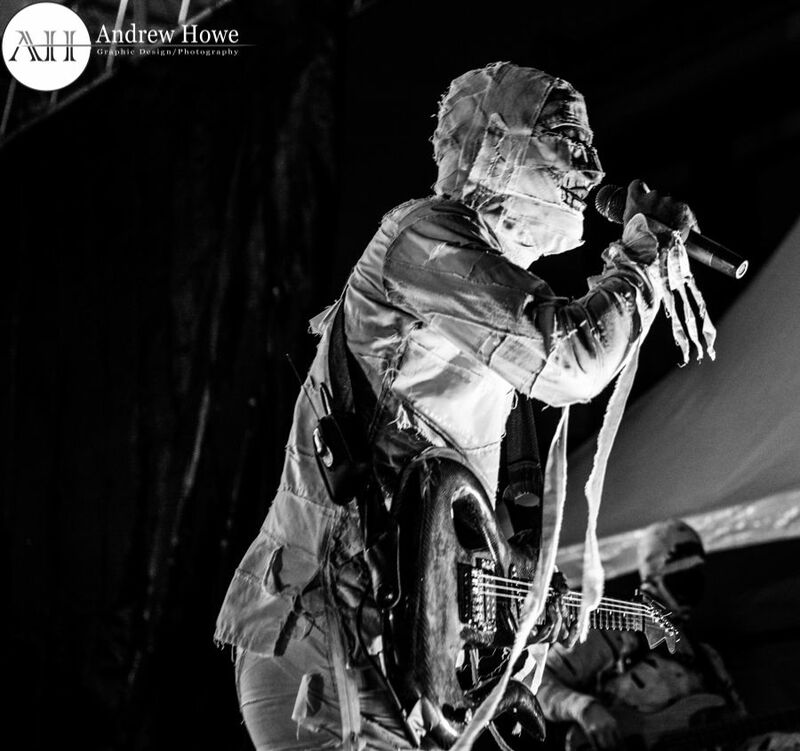 The Mummies went on to play a two-hour set as they performed a total of 19 songs. 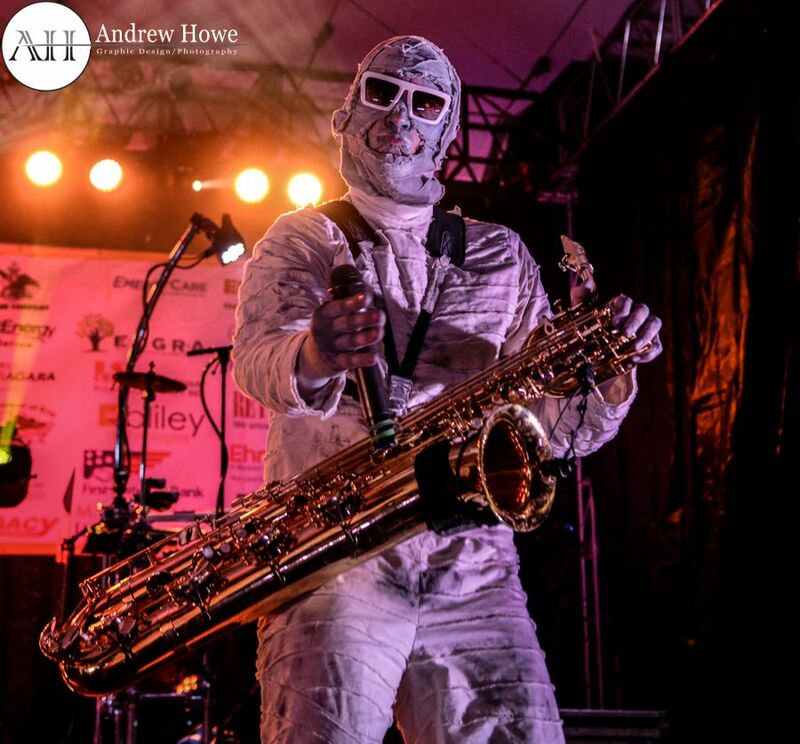 The night ended with “The Attack Of The Wiener Man” and it was evident that Celebrate Erie made an excellent choice to bring back this engaging group to kick off this year’s arts and music celebration.